Jason Trusnik (born June 6, 1984) is an American football linebacker and special teamer who is currently a free agent. He was signed by the New York Jets as an undrafted free agent in 2007. He played college football at Ohio Northern. Trusnik played college football at Ohio Northern. He was twice named a Division III All-American and twice named All-Ohio Athletic Conference. Additionally, he played in the Texas vs. The Nation Game for 'The Nation' team and was named a co-captain for Team United States in the Aztec Bowl. Jason Trusnik signing autographs in 2007 with the Jets. Jason Trusnik was signed as an undrafted free agent in 2007 by the New York Jets. As a rookie, he appeared in six games and recorded six tackles on special teams after spending the first nine weeks on their practice squad. He made his NFL debut in a game against the Pittsburgh Steelers on November 18. Trusnik was placed on injured reserve on December 26. In 2008, Trusnik played in seven games and was inactive for two. He also had spent the first seven games of the season on the Physically Unable to Perform list. Trusnik made five tackles and a fumble recovery on defense as well as 11 tackles on special teams. In 2009, Trusnik played in the first four games of the season with the Jets. He was named AFC Special Teams Player of the Week after his game against Tennessee on September 27, where he had two tackles, a forced fumble, and fumble recovery. 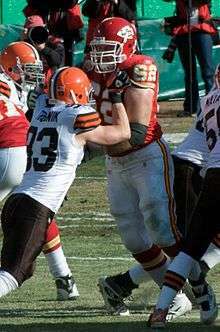 Trusnik was then traded to the Cleveland Browns. Jason Trusnik with the Cleveland Browns in 2009. On October 7, 2009, Trusnik was traded to the Cleveland Browns by the New York Jets in exchange for wide receiver Braylon Edwards. He played the remainder of the 2009 season with the Browns, where he started 10 games and played in 12. During this time, Trusnik registered 54 tackles, 2.5 sacks, and one pass defensed. His first start of his NFL career came on October 18 in a game at Pittsburgh. Trusnik made a career-high 10 tackles on November 29 in Cincinnati. The Browns finished the season with the best kickoff return average starting position (31.4) in the NFL with Trusnik as a blocker. In 2010, Trusnik played in all 16 games for the Browns, starting five. He registered 15 tackles, one sack, and one pass defensed. He played mostly on special teams where he had nine tackles. On July 27, 2011, the Miami Dolphins signed Trusnik to a 2-year deal. He was with the Dolphins for four seasons, starting 10 games and playing in 48. In 2014, Trusnik caught his first career interception from a Tom Brady pass on December 14. He also scored his first touchdown off of a fumble recovery against the Jets on December 28. On March 31, 2015, the Carolina Panthers signed Trusnik to a 1-year deal as an unrestricted free agent. On September 5, 2015, he was released by the Panthers. On November 10, 2015, the Minnesota Vikings signed Trusnik. He had previously worked with Vikings defensive coordinator, George Edwards, while he was the linebackers coach at Miami from 2012–2013. ↑ "Jason Trusnik, Ohio Northern, NFL Draft". CBS Sports. Retrieved January 15, 2016. ↑ Cleveland Browns trade wide receiver Braylon Edwards to New York Jets, ESPN. Published October 7, 2009. Retrieved October 7, 2009. ↑ Alper, Josh (July 27, 2011). "Dolphins retain Tony McDaniel, add Jason Trusnik". Pro Football Talk. ↑ "Panthers add linebacker, special teams depth in Jason Trusnik". ProFootballTalk.com. ↑ Gantt, Darin (September 5, 2015). "Panthers cut Jordan Todman, Jason Trusnik in moves to 53". NBCSports.com. Retrieved September 16, 2015. ↑ Goessling, Ben (November 10, 2015). "Vikings Sign LB Jason Trusnik, Place Audie Cole on IR". ESPN. Retrieved January 15, 2016.